Superdry women’s joggers from the Orange Label range. 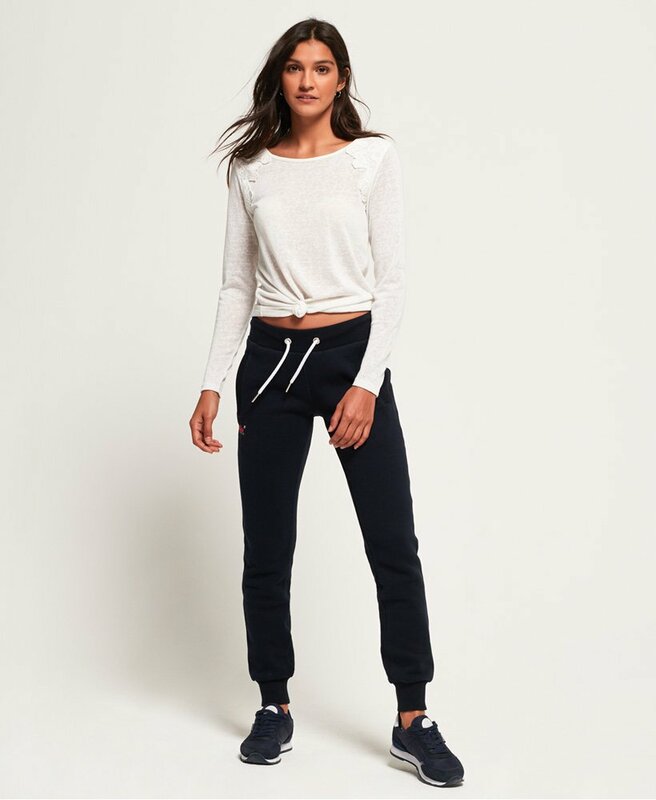 This soft pair of ribbed cuffed joggers are great for everyday wear. These joggers feature a ribbed drawstring waistband, panelled sides, two front pockets and one rear pocket. The joggers are finished with an embroidered Real Superdry logo on the front and a Superdry logo tab on the rear pocket.